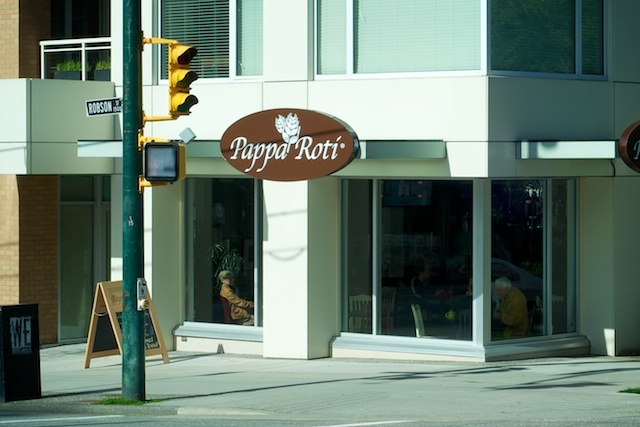 When the PappaRoti signs when up on the corner of Robson and Nicola I’m certain that many in the West End (myself included) opened up a browser to search the term, curious to see what would finally occupy the long-vacant space. As a neighbourhood resident for the better part of the last decade, I was certainly excited to see a coffee shop — with a unique twist — move onto that corner. 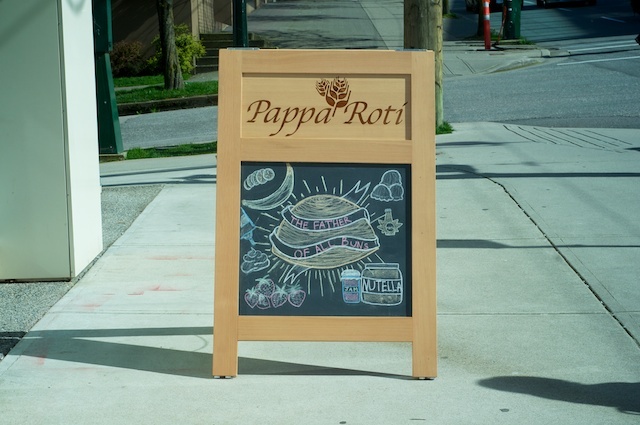 Sure, we have plenty of coffee shops in downtown Vancouver but absolutely none like PappaRoti. 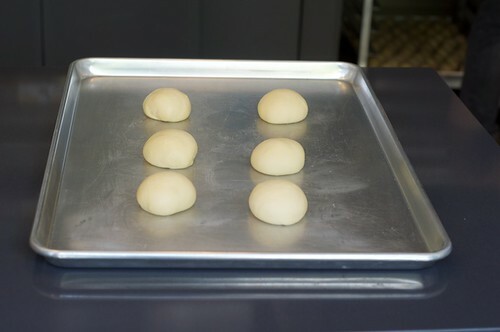 This is the very first franchise in North America, the Canadian flagship, and home to the “Father of All Buns”. 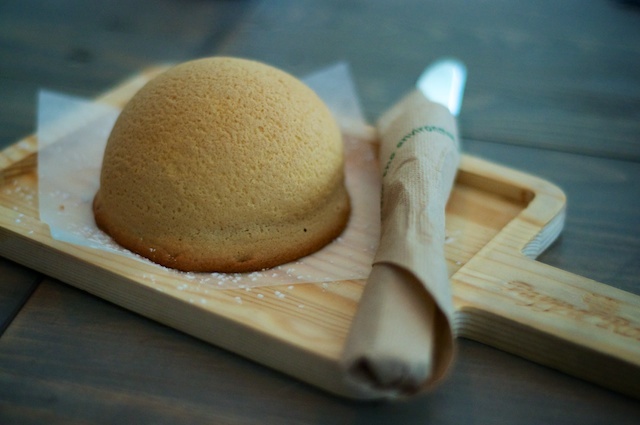 What exactly is PappaRoti? It’s a coffee-caramel coated bun, which is wildly popular in cafes and kiosks from London to Dubai, Singapore, Malaysia, India and Australia. 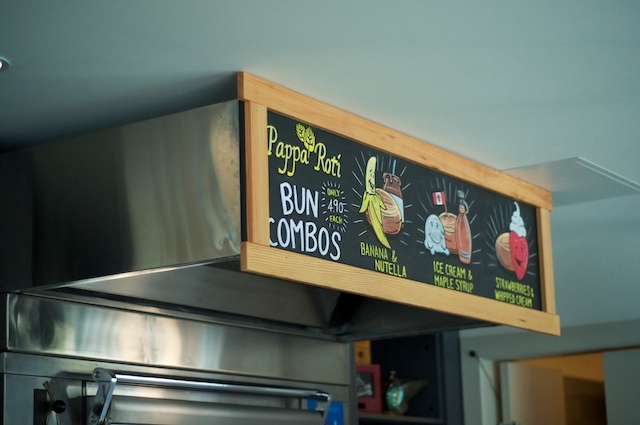 There are 400 PappaRoti locations worldwide and this is the very first in Canada and the USA, thanks to co-owners Sherri Zarandooz and Javeed Somji. Crack through the crisp outer shell of these baked-to-order treats to reveal a soft, buttery centre. Buns are served with cutlery but you can feel free to use your hands to rip it apart, dip, drizzle, and enjoy. 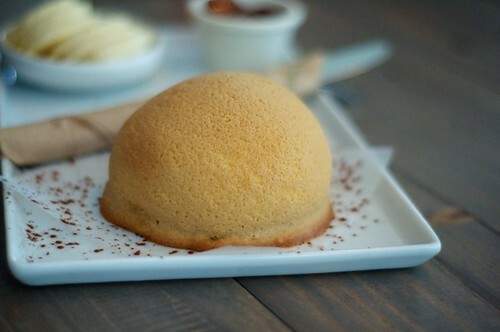 PappaRoti compliments its coffee buns with JJ Bean coffee, loose-leaf tea from Teaja, and freshly squeezed organic juices. 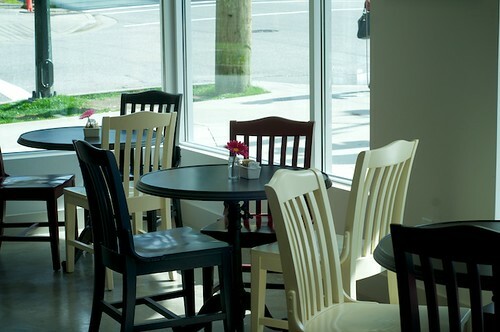 You can dine in or take out, and you’ll have the chance to slow things down as you sit and wait for your bun order to be delivered straight to your table. You can enjoy the bun on its own, or with sides like Pappa cream cheese, local organic jams, fresh fruit, Nutella, kaya, maple syrup, honey, whipped cream, ice cream, dark chocolate, or caramel. 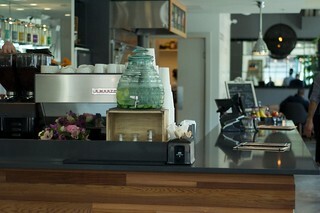 The cafe itself is bright, spacious, suitable for working on your laptop or bringing the kids for a playdate. They’re also open late, until 11:00pm. 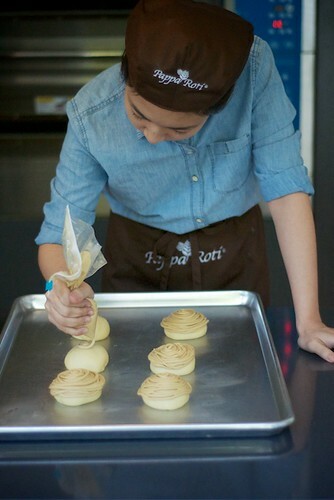 Follow PappaRoti on Facebook, Twitter, and Instagram for more information and inspiration. I will draw three winners at random from all entries at 12:00pm on Thursday, April 17, 2014. Update The winners are @conniehgn, Oana, and Eric! Strawberry and wiped cream sounds great!! Mmmmm. Fresh fruit and whipped cream! Oooh,I want to try a bun with Nutella. Everything goes better with Nutella. Nutella and Strawberries & Whipped Cream! Wow, would love to try whipped cream and caramel. The Pappa cream cheese sounds good or the dark chocolate! ice cream and maple syrup!! Nutella… is there really any other choice? Yumm whipped cream and dark chocolate! Caramel coffee cream. Yum yum! First one in Canada? I will have maple syrup on mine! 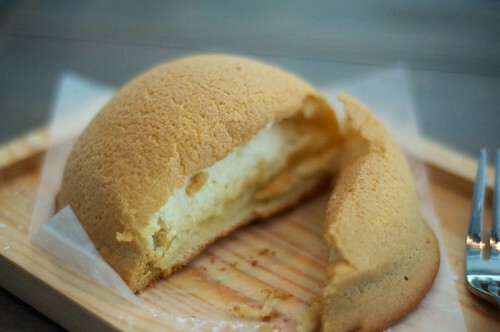 I definitely need to try one with maple! Local organic jam sounds like it would be yummy but of course chocolatey nutella would be a real sweet treat! Banana and nutella will always win this battle. Ice cream and maple syrup! banana and nutella for sure! banana and nutella for sure ! Sounds like it’d be delicious with ice cream! Strawberries and Whipped Cream sounds delicious! I’d try it on its own. Caramel and whipped cream please!! I’d love to try banana and nutella! Banana and Nutella sounds delicious! Nutella and whipped cream with strawberries on the side. I would love to try the banana and nutella! Yum, fresh whipped cream sounds fabulous! cheers! Nutella! Goes well with everything! It’s a toss-up between nutella or cream cheese. Sounds so yummy either way! Whipped cream & fresh fruit! ice cream and maple syrup sounds good! Can never go wrong with Nutella. If there’s nutella on the menu, that’s always what I go for! Would love to try with dark chocolate and strawberries – yum! Nutella and Banana for the win! I’d like to try it with Nutella! Strawberries and whipped cream – YUM! This sounds delicious! I’d like to try it plain.